The On-ramp program is composed of five, one-hour, hands-on classes that introduce CrossFit concepts and critical safety information and instill effective attitudes towards the CrossFit program. All nine of the fundamental CrossFit movements will be taught and practiced, as well as other movements that will be encountered when following the posted Workout of the Day (WOD), with an emphasis on safety. The classes will also introduce the various workout formats that will be encountered in the WOD. Completion of all five classes with a CrossFit coach is required before participating in CrossFit workout programming. (Please take the time to learn these skills before trying anything on your own, including any of our WODs) Of course, the trainers are available for further one-on-one sessions once the On-ramp program is completed. The On-ramp is meant as a bare minimum introduction to CrossFit with the expectation that athletes will continue to self-study, learn, and train with the coaches. Safety is the primary concern. The fastest path to your fitness goals is the following: Learning and practicing the proper mechanics/form for the movements – consistency with this form and consistency with the frequency of your workouts – then, and only then, elevation of the intensity of your workouts. Deviation from this charter is a recipe for injury and a sure-fire means to slow your athletic progress and advancement to your fitness goals. Below you will see the general outline for On-ramp classes, scalable to each group's experience and ability. 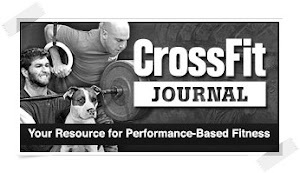 Each class day has a list of highly recommended reading (free from the CrossFit Journal). It looks like a lot but it isn’t, and you will be glad later that you read these. Please contact us at cgecity.crossfit@yahoo.com to schedule and begin your On-ramp sessions. 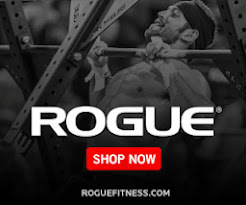 Discussion: What is Fitness? What is CrossFit? Nutrition.